Richard Johnson was born in 1936 in San Francisco, California. 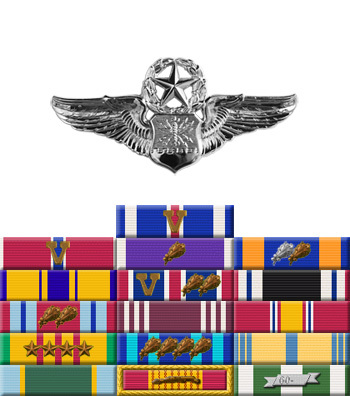 He enlisted in the Aviation Cadet Program of the U.S. Air Force on February 18, 1955, and was commissioned a 2d Lt and awarded his Navigator Wings on June 6, 1957. After completing B-47 Stratojet Combat Crew Training he served as a Navigator with the 360th Bomb Squadron at Davis-Monthan AFB, Arizona, from January 1958 to October 1959, when he began B-52 Stratofortress Combat Crew Training and then joined the 340th Bomb Squadron at Blytheville AFB, Arkansas, as a Radar-Navigator. His next assignment was to the 325th Bomb Squadron at Fairchild AFB, Washington, from January 1968 to April 1970, when he returned to the 340th BS at Blytheville. Maj Johnson was forced to eject from his stricken B-52 the first night of Operation Linebacker II, on December 18, 1972. He was captured and after spending 101 days in captivity, he was released during Operation Homecoming on March 29, 1973. Johnson was briefly hospitalized to recover from his injuries at Scott AFB, Illinois, and then received an Air Force Institute of Technology assignment to Memphis State University to complete his bachelor's degree in Business Administration. After completing his degree, Col Johnson returned to Blytheville AFB, where he retired from the Air Force on December 31, 1978. 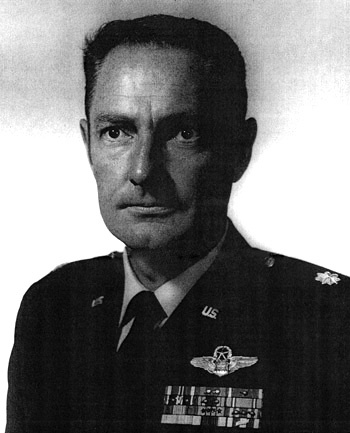 Major Richard E. Johnson distinguished himself by heroism while participating in aerial flight as a B-52 Navigator near Hanoi, North Vietnam, on 18 December 1972. On that date, while engaged in one of the largest conventional bombing raids ever amassed in the recent history of aerial warfare, Major Johnson's aircraft received significant battle damage as the result of extremely heavy surface-to-air missile and antiaircraft artillery fire. Major Johnson and his crew were in quest of massed supplies, communications equipment and transportation lines in order to eliminate the aggressor's capacity to initiate an offensive. The outstanding heroism and selfless devotion to duty displayed by Major Johnson reflect great credit upon himself and the United States Air Force.